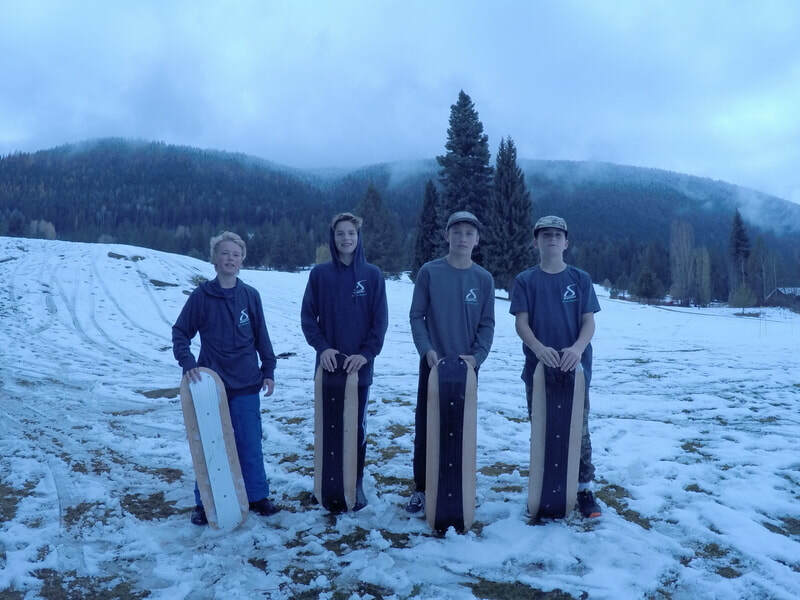 The idea of surfing on snow has been around for decades. 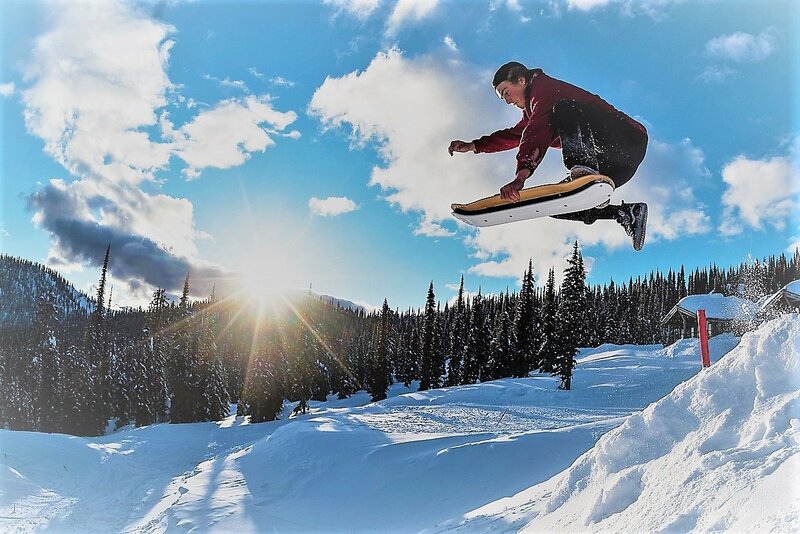 Snowboarding and snowskates offer up their own unique dynamics, but they still don't capture the flow and elemental feel of surfing. Powder Surfing and "Noboarding" are the closest we've come to surfing on snow. They're great fun, but unfortunately they're limited to powder. 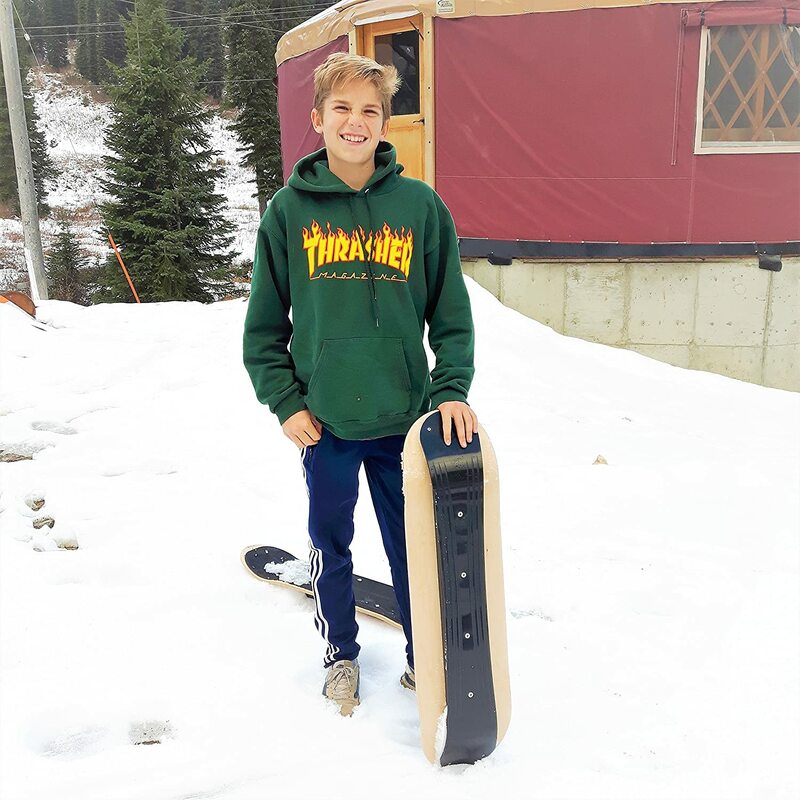 Thus we endeavored to design a board that captures the true essence of surfing and skateboarding in a broader range of snow conditions. 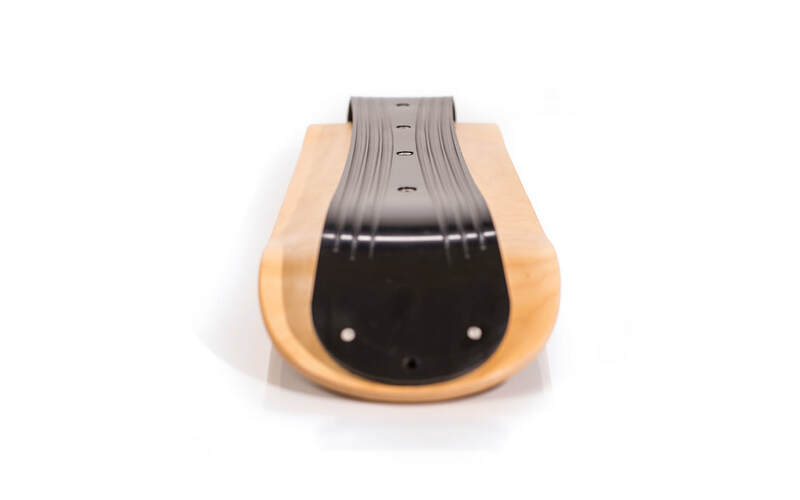 bases are comprised of an offset narrow base coupled with CNC machined arced grooves. These unique features make Slopedecks unbelievably nimble, while giving you that surfy feel you always wanted. Agog Sports, Inc. is dedicated to producing unique high quality sports products. Slopedecks turn a thirty foot hill and two inches of snow into a veritable playground. A resilient closed-cell lightweight spacer puts a narrower running surface one inch below the deck and makes for very quick edging. Coupled with the arced grooves this configuration provides unsurpassed control and a surf-like feel. Feels just like a skateboard deck because it is one. Custom-made extra large for snow boots and longitudinal stability. The closed-cell dual density polyethylene foam spacer keeps snow from gathering between the deck and base, while dampening shocks and enhancing edge control. We want you to enjoy the Slopedeck for years to come, so we've included what most companies don't - a waterproof urethane sealant. ​Although lightweight and relatively thin, the base material is incredibly tough. It's the same material that's used for ski bases, only much thicker. The grooves are radiused, so when the Slopedeck is angled the grooves carve the snow with very little lateral slippage. 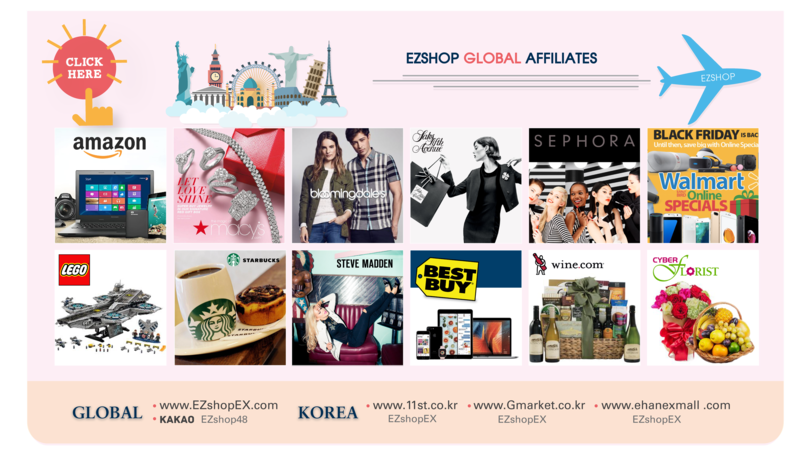 There are numerous unique features the Slopedeck has which are proprietary and protected under patent law. 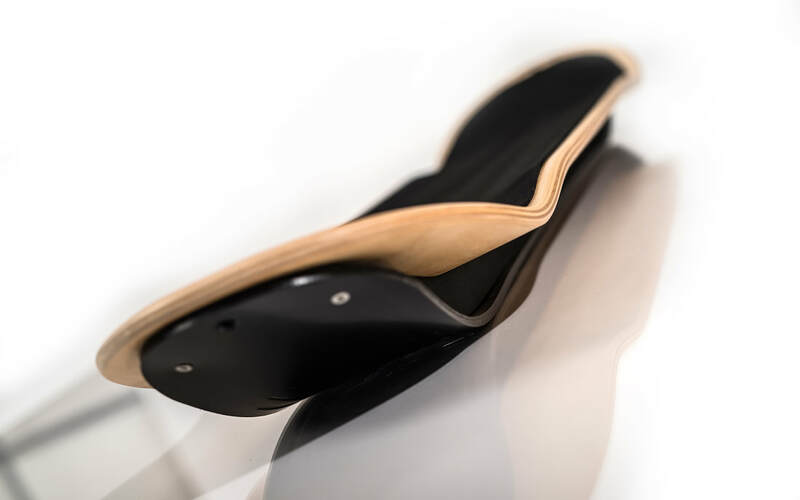 1) How does the SlopeDeck carve so well? The arced grooves on the Morphteck base create the carving dynamic. When the edges are engaged the arced grooves dictate the radius of the turn. 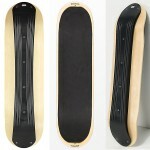 2) What ages and abilities are best suited to the SlopeDeck? Four years old to adult, any weight and skill level. 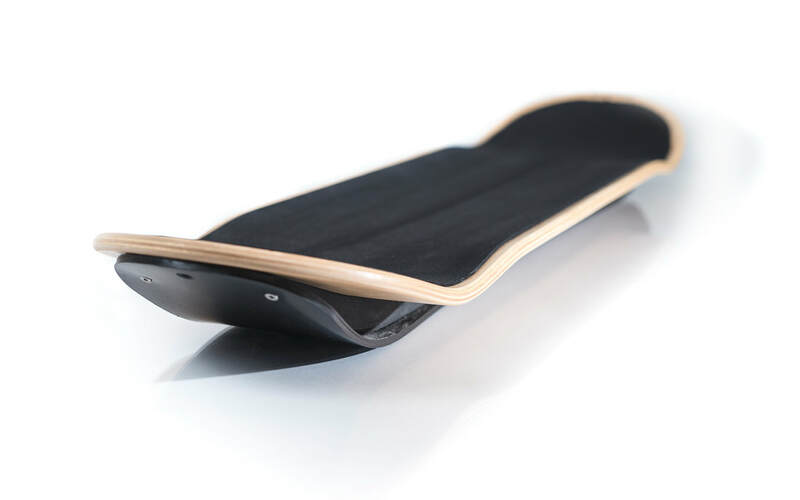 The SlopeDeck is very intuitive to ride, as it has the feel of a skateboard or surfboard more than a snowboard. 3) Can I do flip tricks on the SlopeDeck? Yes, and you will find the base and resilient spacer provide more pop. 4) Can I use the SlopeDeck at ski resorts? Generally not - most ski areas require snowskates with metal edges. 5) Does the SlopeDeck track as well as bi-deck snowskates with metal edges? Yes, due to the orientation of the grooves in the Morphteck base, the Slopedeck tracks like it's on rails. 6) How does the Slopedeck differ from bi-deck snowskates? Bi-deck snowskates are much more expensive due to the separate ski and hardware needed to attach the ski to the base. 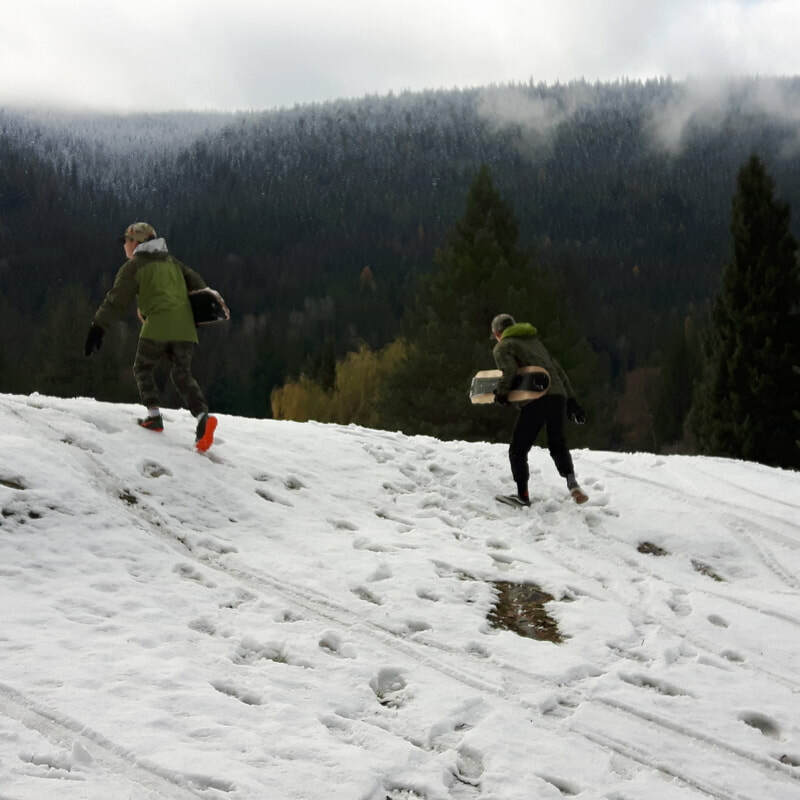 They are also much heavier, higher off the snow, and more difficult to ride. 7) Do I need a leash for the deck? If you'd like to attach one there are holes at the tip and tail for this purpose. Please contact us if you would like to buy a leash. They are $10.00. Since Slopedecks are made by hand there may be slight cosmetic variability. 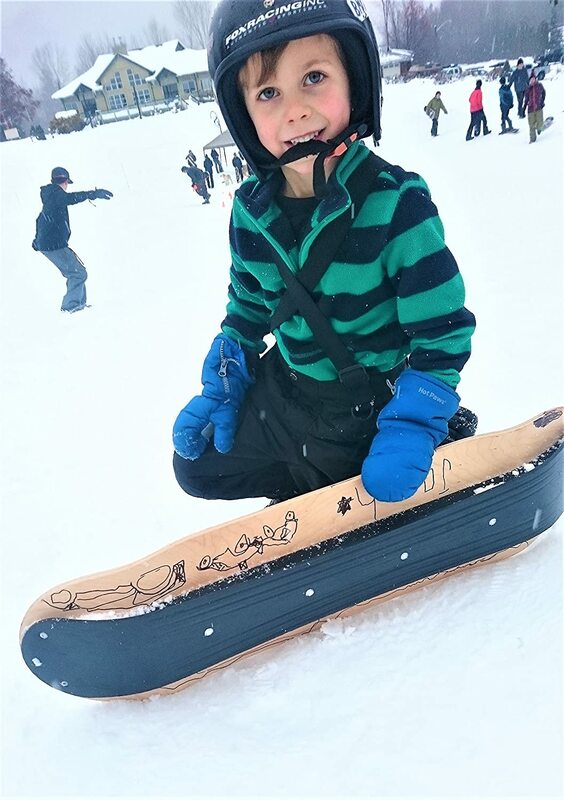 As with all winter sports, using a Slopedeck is hazardous. Always wear a helmet and exercise common sense. Stay off roads and away from cars and hard fixed objects! Use a leash as necessary.